At check in we have a security deposit for groups of 20/person, which will be returned at check out. For group reservations with more than 10 persons half of the payment must to be done when the booking is made. MuchoMadrid has spacious rooms right on Gran Vía in the centre of Madrid, close to the opera house, the Royal Palace and Puerta del Sol. 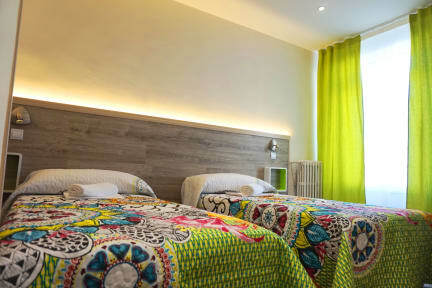 Many Hostelworld visitors have said their favourite feature of this hostel is its location 'in the middle of a major part of Madrid', within walking distance of popular bars and clubs where 'both tourists and locals hang out'. Reviews have also praised the friendly staff for being 'super helpful and encouraging us to go out. [They] even printed out a list in English of things we can do'. Our location, in the heart of the city centre, on Gran Va, is close to the best shopping and nightlife spots in a city that never sleeps. Were also near neighbourhoods renowned for their nightlife, such as Santa Ana, Huertas, Chueca and Malasaa. We have five comfortable and spacious rooms. Each guest has their own private locker. Bath towels, bed linen, Wi-Fi and Breakfast are included in price! Set in a beautiful building, we offer a kitchen where guests can prepare food, a TV lounge where you can get to know your fellow travellers. We provide daily cleaning and much more. Were located near many famous sites like Puerta del Sol, Plaza Mayor, the Royal Palace and the Royal Opera and are within walking distance of many more. If you're hungry for tapas you can easily walk to La Latina, the city's neighbourhood for eating and drinking Madrileo-style. 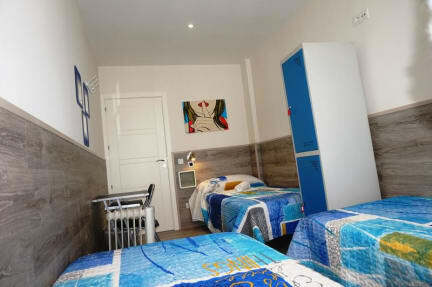 Our calm hostel is the perfect place to rest and relax after a busy day and to prepare for the next. Its ideal for travellers on a budget, individuals and groups, who will find out everything they need to know thanks to our helpful and friendly staff. This is the perfect place to meet people, exchange travel stories and encounter new experiences. Ladies, it's perfectly safe, so feel free to join us. Staff are on-hand 24hrs a day. MuchoMadrid, the best option in the city!